First Nations Oweesta is pleased to announce that we have hired a new Chief Financial Officer (CFO), Florence Ludka, for the organization. Florence will be responsible for the oversight of all finance related activities and the management of finance staff. As CFO and part of the senior leadership team, Ms. Ludka will work closely with colleagues to develop and implement forward looking strategic investment and asset management strategies, corporate policy, short and long term financial plans and projections, and development and monitoring of program and fund budgets. 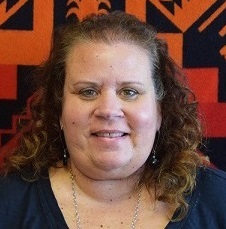 Prior to joining the First Nations Oweesta team, Ms. Ludka worked for the Traverse City Convention and Visitors Bureau (Traverse City Tourism) in Traverse City, Michigan for over 16 years as the Director of Finance and Technology. During her tenure at Traverse City Tourism, Ms. Ludka procured expertise and experience in non-profit accounting, compliance and auditing practices. In addition, Ms. Ludka possesses extensive IT experience in CRM/database management, administration, coaching and training. Ms. Ludka holds an MBA from the University of Michigan, a Bachelor of Science in public accounting and an Associates of Science in technical accounting. Ms. Ludka completed her undergraduate studies at Lake Superior State University where she later returned as an adjunct accounting faculty member teaching accounting principles, intermediate accounting, auditing, advanced accounting and federal taxation. Currently, Ms. Ludka is in her second year of a six-year Ojibwe language pane immersion program. Ms. Ludka is an enrolled member of the Sault Ste. Marie Tribe of Chippewa Indians in Michigan. 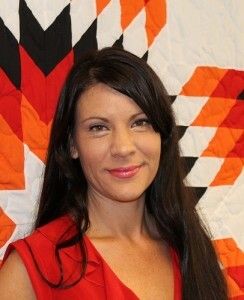 “We are honored to have Heather Rademacher Taylor selected to participate in this prestigious program,” said Chrystel Cornelius, Executive Director of First Nations Oweesta Corporation. BBVA Compass and Opportunity Finance Network joined forces in October to develop the Opportunity Fellows Program. The program is designed to boost the leadership ranks and spur the transformation of Community Development Financial Institutions, or CDFIs, which are critical engines of opportunity in low-income communities. Nationally recognized experts in the field of community development chose the 25 Opportunity Fellows from nearly 100 highly qualified applicants, and together they represent emerging, mid-career and executive-level professionals from CDFIs across the country. Heather Rademacher Taylor was selected to participate in the Emerging level. The Opportunity Fellows Program provides nine months of training with world-class experts in leadership and racial equity from the University of Alabama Collat School of Business and Race Matters Institute. The program kicks off this week at the BBVA Compass headquarters in Birmingham, where participants will engage in interactive activities and experiences, and will learn from other leaders in microfinance. They will also spend time with experts to better understand the patterns and causes behind the growing inequity in racial and ethnic minorities, as well as tour the Innovation Depot business incubator. About First Nations Oweesta Corporation First Nations Oweesta Corporation was created 16 years ago to address the lack of capital and financial infrastructure holding back economic development in Native communities as recognized by its parent organization, First Nations Development Institute. First Nations Oweesta Corporation’s mission is to provide opportunities for Native people to develop financial assets and create wealth by assisting in the establishment of strong, permanent institutions and programs that contribute to economic independence and strengthened sovereignty for all Native communities. For more information, visit oweesta.org. BBVA Compass is a Sunbelt-based financial institution that operates 672 branches, including 344 in Texas, 89 in Alabama, 75 in Arizona, 62 in California, 45 in Florida, 38 in Colorado and 19 in New Mexico. BBVA Compass ranks among the top 25 largest U.S. commercial banks based on deposit market share and ranks among the largest banks in Alabama (2nd), Texas (4th) and Arizona (5th). BBVA Compass was recently named Best Digital Bank in North America by global finance magazine Euromoney and the best regional bank in the South & West and best mobile app in Money magazine’s 2015-2016 list of the Best Banks in America. Additional information about BBVA Compass can be found at bbvacompass.com, by following @BBVACompassNews on Twitter or visiting newsroom.bbvacompass.com. Opportunity Finance Network (OFN), the leading national network of private financial institutions, creates growth that is good for communities, investors, individuals, and the economy. Members of OFN are community development financial institutions (CDFIs) that deliver responsible lending to help low-wealth and low-income communities join the economic mainstream. Through 2015 OFN’s network originated $48 billion in financing in urban, rural, and Native American communities. This financing has helped to create or maintain more than 1,044,000 jobs, start or expand nearly 191,000 businesses and microenterprises, and support the development or rehabilitation of nearly 1.5 million housing units and 9,800 community facility projects. For more information, visit ofn.org. The Earned Income Tax Credit (EITC) and other important refundable tax credits, including the Premium Tax Credit, Child Tax Credit, and American Opportunity Tax Credit are federal tax refunds available to millions of low to moderate income individuals and families. 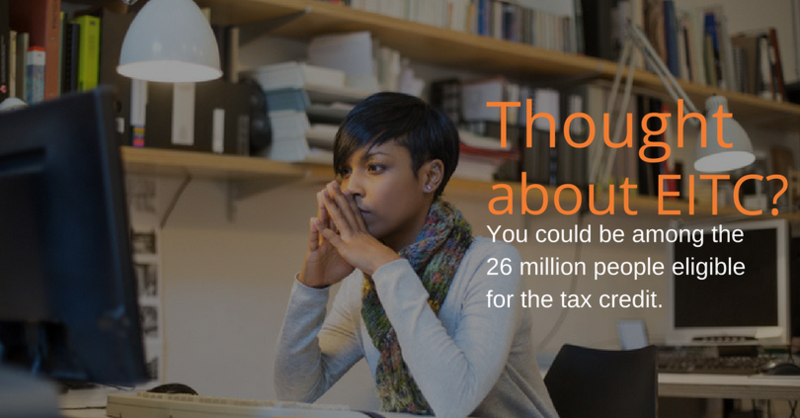 The IRS estimates that up to 25 percent of eligible taxpayers nationwide neglect to claim the credit because they do not know these credits exist. To learn more about EITC and other refundable tax credits, or find the location near you, call the IRS at 1-800-906-9887, or visit www.irs.gov/eitc to determine if you qualify by answering a few questions using the EITC Assistant.